The Pocono Comparative Lakes Program (PCLP) is part of the Aquatic Ecosystems Program at Lehigh University. The AEP strives to advance the understanding of aquatic systems through research and education. 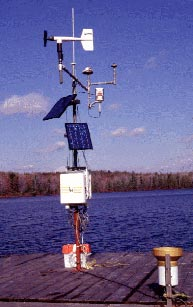 Three Campbell Scientific stations are used on the Pocono Plateau Lake for monitoring weather and water conditions.